Brace yourselves, Aspen, because this summer’s traffic just got worse. Most of McLain Flats Road — the pressure valve that traditionally provides some relief to commuters hoping to avoid Highway 82 gridlock — will be torn up and reduced to one lane from April to October, a county official said Tuesday. “This is what we’re trying to gear up for this summer on McLain Flats,” Pitkin County Engineer G.R. Fielding told commissioners Tuesday, noting that between 3,400 and 3,500 cars use the back road between Aspen and Woody Creek each summer day. The season-long construction project by Black Hills Energy to install a second gas line into Aspen also means more bad news for road bikers this summer, Fielding said. “Most of the popular cycling routes (around Aspen) will be affected this year,” he said. That summer work will include two projects on Castle Creek Road, two projects on Maroon Creek Road and one on Gerbaz Way in Woody Creek, Fielding said. The county also will close one lane of Owl Creek Road — the back way to Snowmass Village — for drainage improvements from roughly May 6 to June 14, he said. “It’s gonna be easier to tell people where we’re not working than where we are,” Fielding told commissioners Tuesday. The longest and most impactful of them all, however, will be the McLain Flats project, he said. Black Hills Energy wants to install 2½ miles of 6-inch gas utility line under and along McLain Flats Road from the triangle intersection of Smith Way, McLain Flats and Upper River Road in Woody Creek to Trentaz Drive, Fielding said. For the first 4,000 feet of the project — where McLain Flats winds up a steep hill heading up to the flat section of the road — the utility company must rip up the asphalt and install the line under the road bed, he said. That’s because there’s no more room on the road’s shoulder for utility lines, Fielding said. After that initial 4,000 feet, work will move to the shoulder for the remainder of the installation, he said. The utility expects to finish between 80 and 100 feet of gas line per day when working in the roadway, and between 100 and 120 feet per day when working on the shoulder, Fielding said. “That’s gonna be a big one,” Fielding said of the project. While the county has not issued a permit yet, Black Hills wants to start construction April 16 and expects it to last until Oct. 18, Fielding said. He expected the permit to be issued shortly. Black Hills has already built sections of the gas line on either side of this summer’s project, making this the final piece to the project, he said. It is meant to provide “redundancy” and “resiliency” to Aspen’s main gas line in case an emergency forces a main line shutdown. The traffic control plan calls for work to begin at 9 a.m. after the morning rush that generally starts at 7 a.m. Flaggers will direct traffic between 7 a.m. and 7 p.m., when work is scheduled to stop each day, Fielding said. After that, portable traffic signals will direct one lane of traffic at a time at night, he said. Commissioner George Newman asked if the McLain Flats project might allow for construction of a much-talked about bike lane along the scenic road. Fielding, however, said construction, especially up the hill from Smith Way, could get tricky and expensive because of lack of room and construction of a bike lane platform. Commissioner Kelly McNicholas Kury suggested installing fiber optic cable while the road is torn up. Fielding said he’d check into it, but noted space issues could prohibit such work. The Woody Creek Caucus is set to hear a presentation on the project March 28. The other projects likely to affect both bikers and drivers this summer include the 1-mile Castle Creek Trail construction from the Marolt housing to the Aspen Music School campus, continuing fiber optic installation up Castle Creek Road and the construction of two retaining walls on Maroon Creek Road near Aspen Highlands and the T-Lazy 7 Ranch, Fielding said. Castle Creek Road outside of Aspen re-opened about 8 p.m. Saturday after crews did avalanche mitigation from a helicopter to work on the slide area that came down early Saturday morning. Crews dropped 10 charges from a helicopter in the afternoon, and no other avalanches were triggered. The road was cleared and opened in the evening. One residences was damaged by the initial avalanche, but no one was home at the time, according to Pitkin County officials. The extent of the damage is unknown. A crew from Holy Cross Energy discovered the slide just after 5 a.m., and it crossed the two-lane road about 4 miles up from the roundabout. Power is expected to be out or limited into Sunday for the approximately 40 homes in the area above the slide. 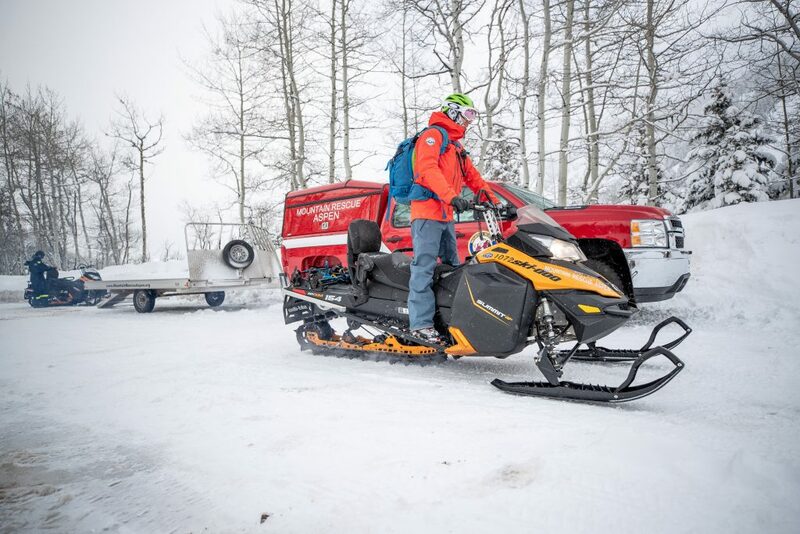 “Though potentially inconvenient, long-term safety is crucial and is best managed by dealing with the heavy snow loads that are currently poised on the steep slopes adjacent to the valley,” Pitkin County officials said in an update Saturday afternoon. There were no reports of injuries from the slide. The road leads to Ashcroft, which is about 10 miles up from the roundabout. According to Pitkin County Deputy and Public Information Officer Alex Burchetta, the slide was approximately 500 feet long by 12 feet deep and happened between 2 a.m. and 5 a.m. Burchetta shook his head stating people were attempting to walk across the slide this morning. A second slide was reported last night by Conundrum, he said. A small Mountain Rescue team was sent into the field for safety while clearing the slide and a drone was used to document the site of the slide. 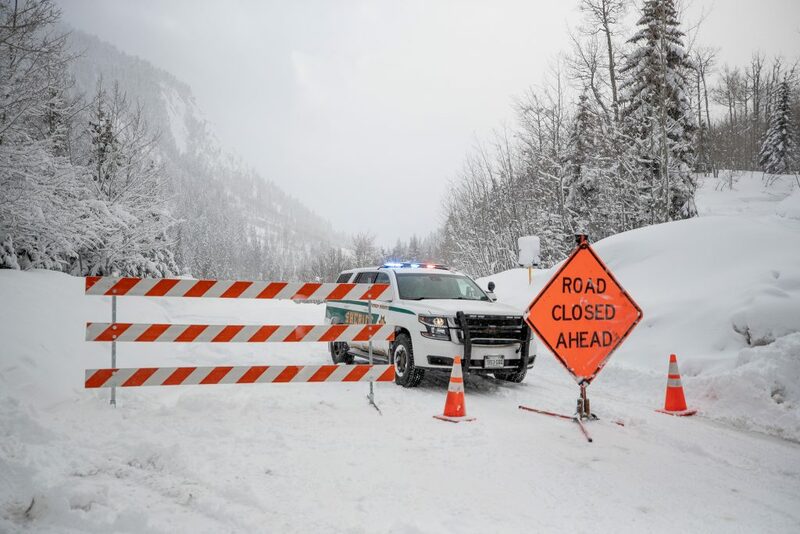 The full alert: Pitkin Emergency Alert for the Aspen, Snowmass Village area(s): Castle Creek Road is closed due to an avalanche at mile marker 4. Do NOT attempt to pass over the slide path. Fire/EMS services still intact, although expect a delay in response. Call 911 for emergencies only. Updates to follow. This is a developing story that will be updated. The proponents of the Lift One proposal needed every bit of a well-funded and well-oiled campaign effort to squeak out a victory in Tuesday’s election. The Lift One corridor plan was approved 1,555 in favor to 1,529 against or a margin of 50.4 percent to 49.6 percent. Campaign finance reports filed with the city of Aspen showed the Lift One proponents spent about $283,000 while opponents had spent about $15,000 as of the most recent report. “I’m crushed,” said John Doyle, a leading opponent of the project. “I knew it was going to be close. Although the victory margin was slim, it wasn’t close enough to trigger an automatic recount. “Based on current calculations, there would be no automatic recount,” said city attorney Jim True. Aspen residents were asked to vote on a proposal crafted in negotiations between the developers of a lodge and a hotel, Aspen Skiing Co. and representatives of the city government. One of the drivers of the plan was bringing the replacement for Lift 1A down the mountain another 500 feet rom its current lower terminal location to Dean Street. The Lift One corridor plan encompasses more than 320,000 square feet of commercial space, which includes the 107,000-square-foot timeshare project known as the Lift One Lodge and a 64,000-square-foot luxury hotel called the Gorsuch Haus. Lift One Lodge will add 34 fractional interest and six full-interest condominiums at the base. Gorsuch Haus will add 81 rooms. Mixed in and around the tourist accommodations are bars and restaurants, skiers’ services, an underground parking garage and a ski museum. Both sides agreed Tuesday night that making the bottom terminal of the chairlift was a key to the vote. “It was the bright, shiny object that got everybody distracted,” Doyle said. Opponents of the project were concerned about the traffic it will generate, the lack of affordable housing construction required of the developers, the city’s contribution of $4.36 million, the mass of the project and the effects on the Norway ski trail. Proponents touted the revitalization of the original base area of Aspen Mountain with hot beds, cold beers, restaurants and a more accessible ski lift. Jeff Gorsuch, a principal in the Gorsuch Haus, thanked about 100 supporters at an election night party. Michael Brown, a partner in the Lift One Lodge, said he wasn’t surprised by the close outcome. “We probably flipped three or four votes today at 4 o’clock at the Jerome,” he said. He estimated that the Lift One team contacted up to 1,000 people on Election Day alone through emails and door-to-door contact. “Obviously the lift coming down is the linchpin that we all rallied behind,” Brown said. He felt the collaboration between the developers, city, Skico and other players also resonated with voters. He said he understood the opposition to some degree. Aspen residents are passionate about protecting the community. Brown said the redeveloped base will be a project that makes the community proud. Doyle said he was pleased that the vote was as close as it was, though obviously disappointed by the loss. “It showed this is a divisive issue,” Doyle said. He hopes that the debate continues based on the close outcome. Aspen voters sent a message Tuesday that they want change on the City Council by electing Skippy Mesirow and Rachel Richards. On a night that wasn’t kind to the three current council members — though Councilwoman Ann Mullins qualified for the April 2 mayoral runoff against Torre with 341 fewer votes than him — Mesirow and Richards avoided a runoff by eclipsing the minimum 1,228 votes needed to get elected outright. That figure represents 45 percent of the vote plus a single vote. Unofficial results showed Richards as the top vote-getter among the four contestants for City Council with 1,729 ballots cast in her favor. Mesirow was next with 1,433 votes, incumbent Councilman Bert Myrin finished third with 1,215 votes and Linda Manning, in her first campaign for public office, garnered 1,076 votes. Mesirow and Richards were able to capitalize on a voting public that has expressed frustration with the City Council over the last few years, including its handling of the new municipal offices that are now under construction, conducting traffic experiments, proposing a bike corridor on Restaurant Row that was met with firm resistance and failing to select a tenant for the former location of the Aspen Art Museum, among other dealings. A former Aspen mayor and two-term Pitkin County commissioner, Richards, 58, campaigned on a platform that she would continue to pursue the very political objectives she has in the past — housing local workers, preserving open space and working on the state level on matters ranging from health care to the environment. “Certainly my work represents my values,” Richards said minutes after learning she’d won a seat. Richards didn’t have the usual amount of campaigning time she had been accustomed to in past elections. That’s because she stepped down from her commissioner seat because of term limits in January. She’ll get two months away from politicking before she takes office June 10. Mesirow, 32, positioned himself as a voice of the younger generation and a proponent of bridging gaps rather than widening them. Mesirow was a primary force behind the campaign to have Aspen’s odd-year elections moved to March from April, after voters in November favored the date change. “It was just hard work by an amazing team,” he said of his triumph. The chair of the Aspen Planning & Zoning Commission, Mesirow ran for City Council in 2017, finishing fourth with 792 votes. Mesirow’s campaign certainly had firepower, as he was able to connect with Aspen’s younger crowd and such longtime, influential residents as former Pitkin County sheriff Bob Braudis, former Aspen councilman Art Daily and developer John Sarpa. Myrin, 51, was the sole City Council candidate who campaigned against the Lift One development proposal on Aspen Mountain, which voters approved by a margin of 26 votes Tuesday. During his first 4-year term on the City Council, Myrin fancied himself as a lone wolf, oftentimes at odds with other council members, while maintaining a no-growth position. During the campaign, however, Myrin said if he were not re-elected, he would continue to be active in Aspen politics on the sidelines as he had done in the past. Myrin was not present at Aspen City Hall when the results were produced at approximately 8:30 p.m. He also could not be reached by phone. Manning, 41, who is the Aspen city clerk, stood to leave her job if she was elected because officeholders also can’t hold a job with the city. Manning, who vowed to make the city more accommodating toward businesses, said she was proud of her showing. Nearly 60 percent of Aspen’s active, registered voters cast ballots in Tuesday’s municipal election, according to the city’s deputy clerk. That number, more than 3,200 votes, demolished the previous highest voter total recorded in the past five Aspen city elections by almost 700 votes, according to numbers provided by the City Clerk’s Office. “That’s a significant amount,” said Linda Manning, who has been the city clerk for five years but did not run this election because she was a candidate for City Council. By the time the polls closed Tuesday, 3,220 out of 5,398 active registered voters cast ballots in this year’s election, said Nicole Henning, Aspen’s deputy clerk. That didn’t include about 20 ballots where discrepancies were detected, she said. Previously, the largest number of voters recorded in the past five municipal elections was 2,544 in May 2009. Aspen voters in November overwhelmingly approved the measure moving the election by a 68 percent to 32 percent margin. Supporters claimed the May election took place during offseason when town occupancy is low, disenfranchising a segment of the population. Up until two days ago, the turnout was running behind 2017 totals, the second-lowest in the past five elections, she said. “If it wasn’t for Lift One, we would have seen roughly the same or less turnout (as June 2017),” Manning said. Henning agreed with her boss. “Personally, I think it was Lift One,” she said after all the votes were counted Tuesday. “That’s just listening to people coming in on a daily basis. Mesirow, who won a City Council seat Tuesday, wasn’t so sure. Another big snowstorm is expected to hit Aspen and the central and northern Colorado mountains starting Wednesday and lasting into Thursday, the National Weather Service said in a winter storm warning. The warning begins early Wednesday and extends until 6 p.m. Thursday with snow totals up to 16 inches above 8,000 feet. Snow totals below 8,000 feet are between 4 and 7 inches, the NWS said. The round of snow comes after nearly 3 feet of snow fell over this past weekend around Aspen and Snowmass. High temperatures in Aspen the rest of the week are forecast in the low-40s, then drop to the 30s over the weekend. Richard Miller, the man accused of starting the Lake Christine Fire in July 2018, had to be rescued Sunday from the Highland Bowl area after going out of bounds. According to the Pitkin County Sheriff’s Office, Miller, 23, got separated from two companions at about 12:30 p.m. at Aspen Highlands and his friends reported him missing to ski patrol at 3:30 p.m.
Patrollers zeroed in on the section near the G Zone, but could not locate Miller. At that point, Mountain Rescue Aspen was called to help with the search, and 19 MRA volunteers went to scene. Miller called 911 while the search party was looking for him, and Miller and the search group were able to find each other. Searchers reached Miller, who was 300 feet below the ski-area boundary, at 6:45 p.m., according to the Sheriff’s Office. The search teams boot-packed and stomped down a path and Miller made it back up to the boundary and skied out with the rescuers by 8:30 p.m. According to an Aspen Skiing Co. spokesman, Miller didn’t get his pass pulled. A person is legally allowed to go out of bounds as long as they don’t depart and re-enter via a closed area. Miller and Allison Marcus each face three charges of fourth-degree arson, a Class 4 felony, and setting fire to woods or prairie, a Class 6 felony. Miller and Marcus are free on a $7,500 bond each. Miller is due in Eagle County court May 28. The two were allegedly at the shooting range near Basalt, firing tracer rounds shortly before 6 p.m. on July 3. Miller initially denied using tracer rounds, then admitted to it after deputies searched the two’s belongings, according to an arrest affidavit. The fire burned more than 12,500 acres on state, federal and private lands and it destroyed three houses. Aspen police arrested a local man Friday who allegedly entered his ex-girlfriend’s home while she was sleeping and initially refused to leave, according to court documents. Edward Wegmann, 35, did finally leave the woman’s apartment and later admitted to police he’d been inside the home, according to an arrest warrant affidavit filed in Pitkin County District Court. Wegmann was charged with felony trespassing and domestic violence. The woman called emergency dispatchers about 11:40 p.m. Thursday and reported that she’d been sleeping since about 11:15 p.m. when she “woke up to find Wegmann standing in her bedroom, with his cellphone light activated, near the doorway,” the affidavit states. The woman then put on a pair of pants and moved toward the doorway as Wegmann moved further into her bedroom. Wegmann left but returned shortly after and knocked on the locked door. The woman answered and told him he was not welcome back and “they were no longer friends,” according to the affidavit. He returned a third time and told the woman, “You are still ugly,” then walked away, the document states. The woman said Wegmann was highly intoxicated and had been to treatment for alcohol, though he’d never been violent toward her during their relationship, according to the affidavit. Wegmann answered the door early Friday morning highly intoxicated and wearing the same gray ski pants he’d worn to the woman’s home, the affidavit states. Police arrested him after he admitted to being at the woman’s home. 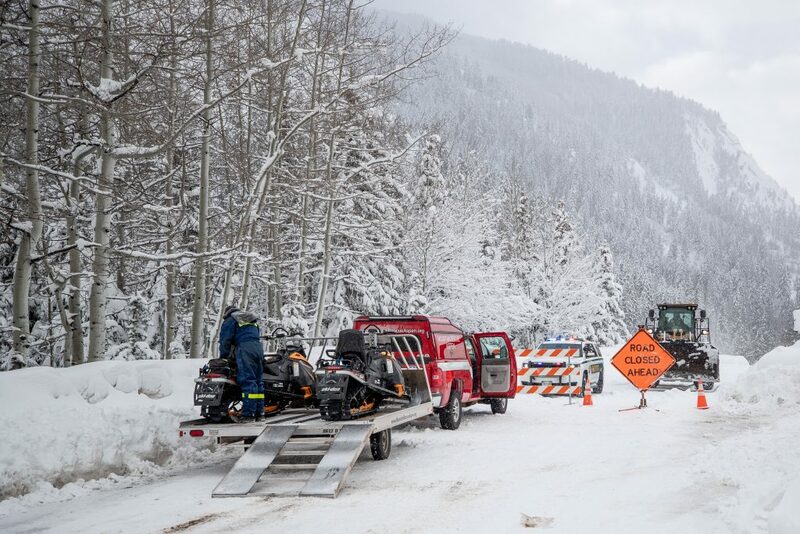 The first of two avalanches to rip through Ten Mile Canyon on Sunday left the valley blanketed in a cloud of white dust, almost like a bomb had just exploded. The heaviest snowfall of an already above-average winter hit Summit County over the weekend and culminated in a pounding on Sunday, and the second slide closed Interstate 70 between Edwards and Frisco. Colorado State Patrol initially reported that people might have been trapped in the second avalanche. However, an agency spokesman later said that no vehicles were buried and there were no reports of any injuries. Still, the weekend snowstorm left many locals measuring snowfall with yardsticks, transportation officials scrambling to keep up with road closures and fears of an avalanche running high, even before the avalanches struck the canyon. “We don’t get a whole lot of snowfalls like this,” said Mark Goldberger, as he swept a thick blanket of snow off his pickup in downtown Frisco. “This is just as bad as Michigan,” commented another man, Mark Leon, who’s actually from Michigan but was walking down Main Street Frisco underneath the cover of an umbrella. The Colorado Avalanche Information Center issued an avalanche warning for the northern and central mountains before the pair ripped through Ten Mile Canyon. Sunday’s road-closing avalanche came after another one struck the same area during the morning hours and was captured on video by passersby, including one of the Summit County Rescue Group’s volunteers, Brandon Ciullo. “Avalanches come down in Ten Mile with some regularity throughout the winter,” said Charles Pitman, a Rescue Group spokesman, adding that Ciullo’s video only shows how tender the snowpack is right now. Ciullo was heading west on I-70 to Glenwood Springs for an unrelated vehicle-recovery mission with the rescue group when he saw the avalanche between Frisco and Copper Mountain at about 7:47 a.m.
And Pitman hopes people will listen. Despite having a high number of avalanches in Summit County this winter, he added, there have not been any avalanche-related injuries here this season and he’d like to keep it that way. A lot of people assume that avalanches are only set at the top of a slide, but Pitman said many people don’t understand they can be trigged at the top, bottom or even from the side — all depending on the snowpack. For a detailed avalanche forecast, go to Colorado.gov/avalanche. Stay up-to-date with road closures by following CDOT’s Twitter account.